The normalcy bias refers to an extreme mental state people enter when facing a disaster. It causes people to underestimate both the possibility of a disaster occurring and its possible effects. This often results in situations where people fail to adequately prepare for a disaster, and on a larger scale, the failure of the government to include the populace in its disaster preparations. The assumption that is made in the case of the normalcy bias is that since a disaster never has occurred that it never will occur. It also results in the inability of people to cope with a disaster once it occurs. People with a normalcy bias have difficulties reacting to something they have not experienced before. People also tend to interpret warnings in the most optimistic way possible, seizing on any ambiguities to infer a less serious situation. risky places–areas to which I would be reluctant to move. 1.Almost any place in California, for various reasons: In addition to earthquakes, wildfire, landslides, the state has volcanically active areas in the north, around Mt. Shasta and other major volcanoes, as well as in the east, where the Long Valley Caldera shows signs of renewed activity. Even beyond its infamous seismic zones, California’s shoreline is vulnerable to tsunamis (seismic sea waves) from submarine earthquakes throughout the Pacific. 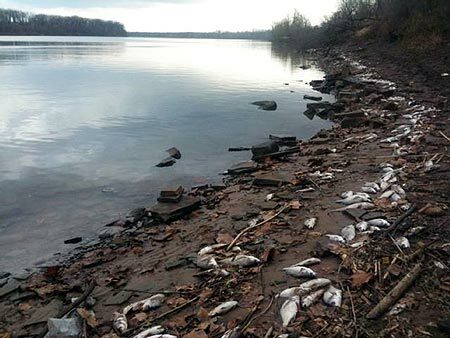 More recent additions to this smorgasbord of hazards are smog, freeway snipers, urban riots, oil spills, and (looking ahead a few decades) severe water shortages. 2.Located only 70 miles from Mt. Rainier and Glacier Peak, which the U.S. Geological Survey considers active volcanoes,Seattle, Washington is also vulnerable to severe earthquakes. Unlike Californians, long aware of the risk, Washingtonians have only recently begun to plan for a seismic disaster. 3.Coastal Alaska and Hawaii are especially susceptible to tsunamis, huge waves whipped up by submarine earthquakes in the Ring of Fire encircling the Pacific Ocean. Alaska’s Pacific coast is seismically active, and the Hawaiian Islands can generate their own tsunamis: deposits on Lanai suggest past run-ups as high as three thousand feet, and geophysicists fear a similar disaster were the southeast side of the Big Island (the island named Hawaii) to slide suddenly into the sea. 4.Tropical hurricanes pose a less catastrophic but more frequent danger to the Atlantic Coast, particularly to North Carlina’s Outer Banks, a long, thin barrier island, from which evacuation is difficult. Since the seventeenth century, infrequent but fierce storms have carved new inlets, filled old channels, and move the shoreline westward at a rate of 3 to 5 feet per year. Moreover, if forecasts of a 250-foot rise in sea level because of global warming prove correct, current settlements on the Outer Banks could be wiped out in the next century or so. 5.Inadequate building codes, shoddy construction, low elevation, and level terrain make areas south of Miami especially vulnerable to high winds and flooding from storms like Hurricane Andrew, which caused over 20 billion dollars damage there in August 1992. Adding to the region’s misery is metropolitan Miami’s crime rate, one of the highest in the nation. 6.The Louisiana coast is also vulnerable to multiple hazards: winds and storm surge from tropical hurricanes, unnaturally high levees along the lower Mississippi River, and air and groundwater pollution from poorly regulated chemical industries concentrated along the state’s Gulf Coast. Cancer mortality is extraordinarily high here as well. 7. The floodplains of the Mississippi and other main-stem rivers, which drain vast areas, are vulnerable to prolonged high water caused by persistent weather systems. The costly floods of summer 1993 demonstrated the shortsightedness of flood forecast models based on limited hydrologic data. Humans play a dangerous game of hydrologic roulette by building homes, factories, and sewage-treatment plants in low-lying areas along rivers. 8. Any floodplain, large or small, anywhere in the country.Think about it: What does the word mean, and how did the floodplain get there? Although most victims evacuate in time, a picturesque parcel where “a river runs through it” carries the threat of sodden heirlooms and undermined foundations. In arid areas, where thunderstorms are infrequent, flash floods kill around two hundred unsuspecting campers and hikers in a typical year. Along rivers large and small, the Federal Flood Insurance program uses maps to set rates, spread the risk, and encourage local governments to plan evacuations and control land use. 9.Because warm weather is attractive to affluent retirees and house-breakers, property crime is especially high in the south, where a warm climate favors year-round burglary. And urban areas with many young males, newly arrived or unemployed, are notorious for violent crime.Growing southern cities such as San Diego, Los Angeles, Phoenix, El Paso, and Miami, are thus especially hazardous, although risk varies greatly with neighborhood and time of day. 10.The neighborhoods of nuclear plants are risky areas of a different sort. Although catastrophic radiological accidents are rare and highly unlikely, the 1986 Chernobyl event had frightening consequences. More worrisome than the poor design and mismanagement underlying the 1979 Three Mile Island incident, near Harrisburg, Pennsylvania, is the specter of terrorism: a nuclear facility is an enormously attractive target for organized terrorists able to breach security with a vehicle bomb. Over four million people live within the ten-mile emergency planning zones (EPZs) around America’s atomic power plants, and Chernobyl indicated clearly that radiological accidents can have a lethal reach much longer than ten miles. Equally daunting is the variation in emergency preparedness among EPZs. guides that focus largely on crime present a distorted picture of danger. Drawing the Line: Tales of Maps and Cartocontroversy (1995). On New Years Eve 2010 in Beebe, Arkansas 5,000 blackbirds mysteriously plummeted to their death while in mid-flight. The birds were found in an area that is 1 mile long and 1/2 of a mile wide beginning around 11:30 p.m . No dead birds were found outside of this area. Arkansas’ top veterinarian, Dr. George Stevens, said preliminary autopsies on 17 of the blackbirds, which ruled out poison, indicate they died of blunt trauma and midair. The dead birds were collected from rooftops and streets, but initial tests found no toxins. 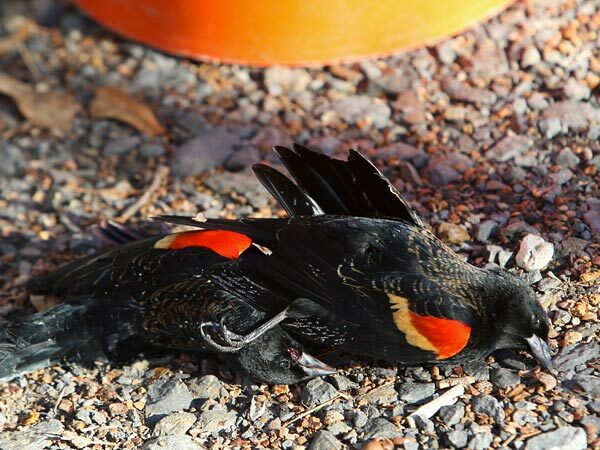 In a seemingly separate incident, some 500 red-winged blackbirds, starlings and grackles were found dead in southern Louisiana in Labarre.Another situation near Little Rock that hasn’t gotten much media attention is the numerous earthquakes that have happened in Guy. According to CNN, there have been 487 “measurable earthquakes” since September 20 of 2010, and the depth of the quakes has been between one-and-a-quarter and five miles below the surface. What’s especially interesting is that Guy is near a major earthquake fault known as the New Madrid.